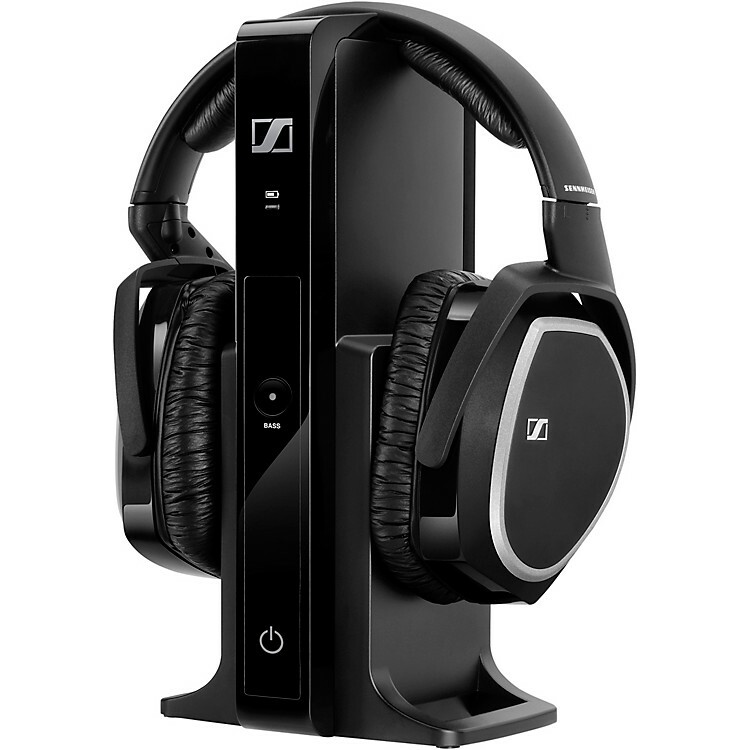 Sennheiser's RS 165 is a digital wireless headphone system for movie watching and music. Its ergonomic, closed, circumaural design reduces background noise while providing an exceptionally comfortable fit, so you can focus on enjoying your favorite television programs and movies. Easy to use and intuitive, just connect the included transmitter to your home audio or entertainment system. Because these headphones are from Sennheiser, you can count on a vibrant, detailed sound reproduction. You’ll also be free to move around, since the RS 165 provides a robust, digital wireless audio transmission with minimum latency, and there is a bass boost listening mode for added power. Experts in headphones, experts in wireless, Sennheiser has a winner in this product. Get more from your TV and home audio.